In her realbuzz.com blog posted yesterday, Louise Damen (adidas) holds forth on the flying elbows and “pure carnage” of this year’s IAAF World Cross-Country Championships in Bydgoszcz. Click here. 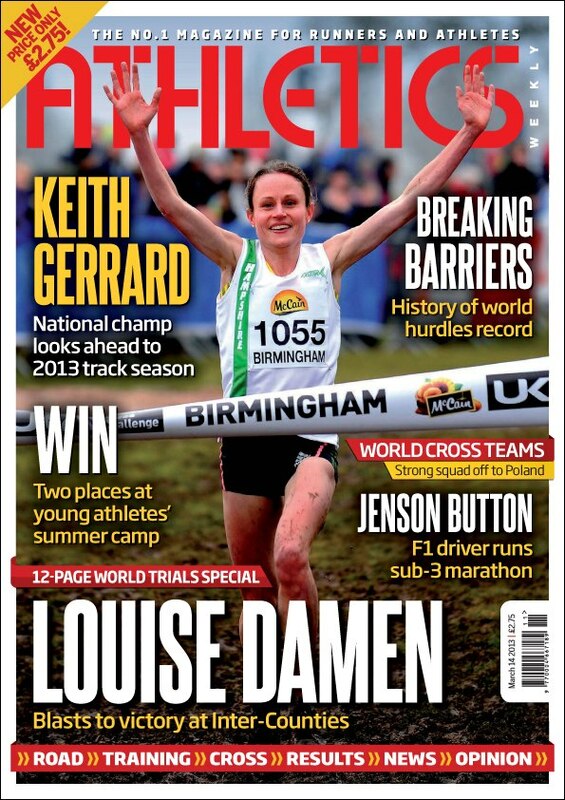 Louise Damen’s Win at UK Cross-Country Trials Gets Her the AW Cover! Louise Damen Wins UK Cross Title! Louise Damen (Winchester and District AC) stormed over the final kilometer in Birmingham’s Cofton Park to win the senior women’s title over 8,000m at today’s McCain UK Cross Challenge Final and World Trials. With the victory, Louise locked in her place for this year’s IAAF World Cross-Country Championships, as well as achieved a career “hat trick” of UK cross-country titles over the three main age divisions. 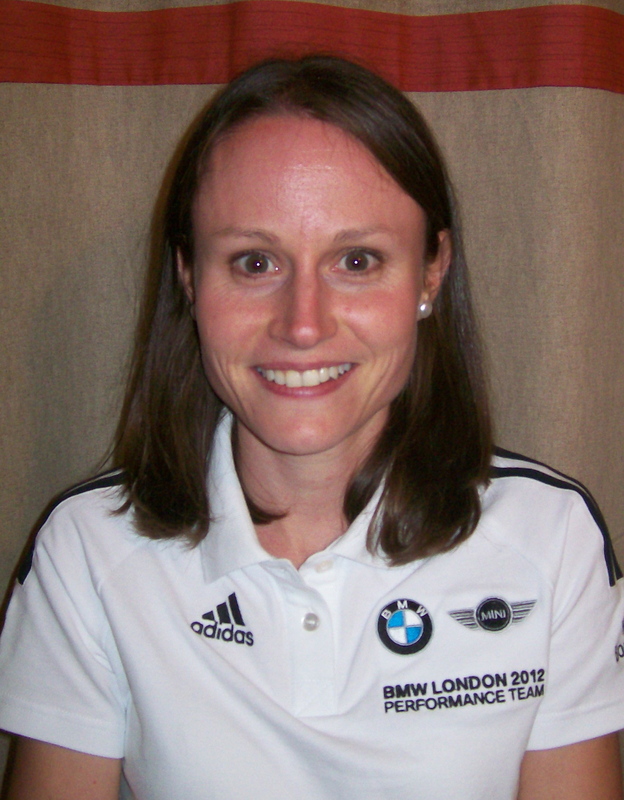 Today’s win continues Louise’s steady comeback from the injuries and hip problems that bothered her last spring and summer after the Virgin London Marathon, which were then exacerbated by 7-8 weeks off from running following a fall during a long run in August. The cross-training and gradual return to training have obviously paid off, as she is getting stronger by the week as World Cross approaches. 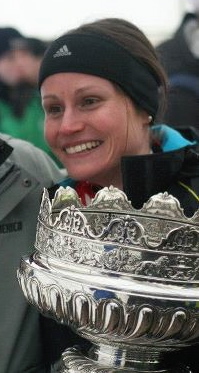 Her racing comeback began by winning a low-key Hampshire League cross race in October (“I was pleasantly surprised. I won by 97 seconds over 6k and felt good, so I was happy with that.”). 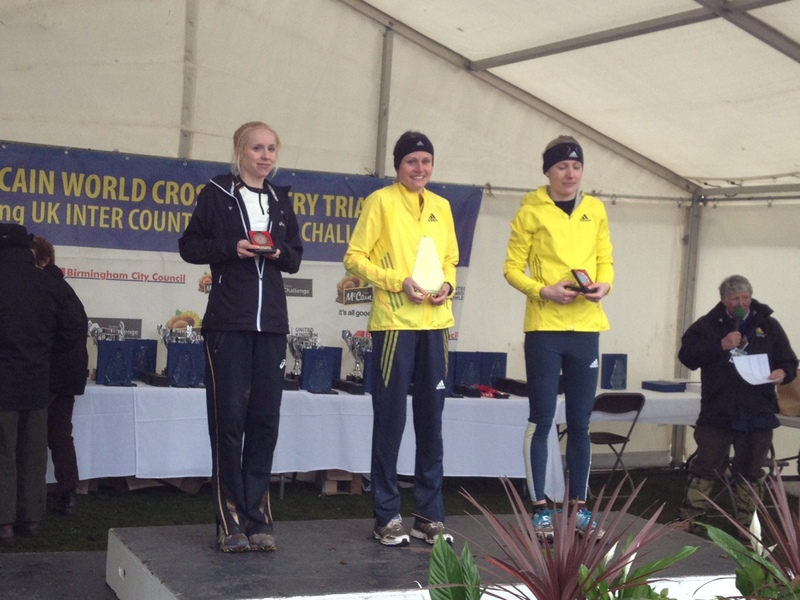 Following another good month of training, Louise stepped up to take 3rd overall and 1st senior over the 8.1 km McCain Cross Challenge in Liverpool on November 24th, thereby earning her spot on the UK team for the European Championships. Two weeks later at those championships in Budapest, Louise took a solid 11th overall, a good sign after all the missed training time. Louise has been on top of her game since the Europeans, with a string of top runs over grass and mud so far in 2013: 2nd at Antrim, 1st at Cardiff, a 60-second win two weekends ago at the English national cross-country championships, and now today’s national title. The 2013 IAAF World-Cross-Country Championships will be held in Bydgoszcz, Poland, on March 24th. Click here for the IAAF home page for the championships.